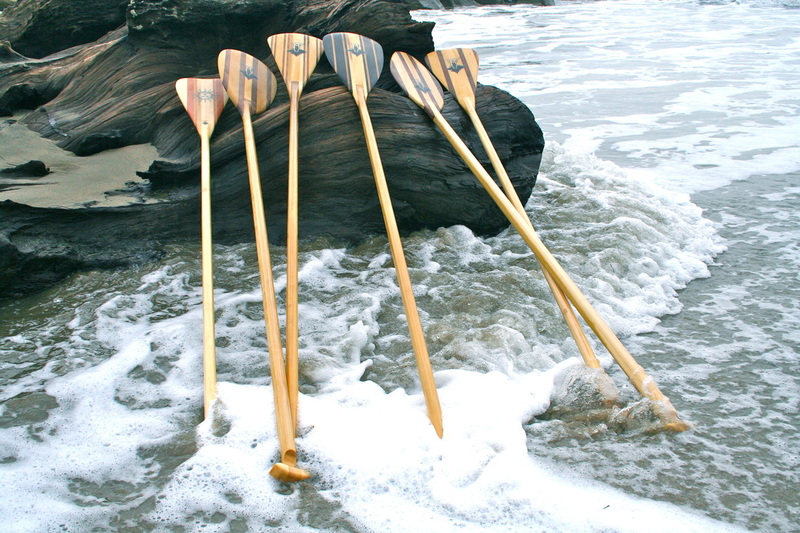 SUP Paddles - Big Tree Paddle Co.
All of our paddles are hand made from beginning to end in our shop on the westside of Santa Cruz, CA using the highest quality materials. 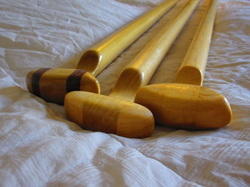 Every effort is made to produce paddles that are not only aesthetically pleasing, but also durable, comfortable and capable of performing at top levels. 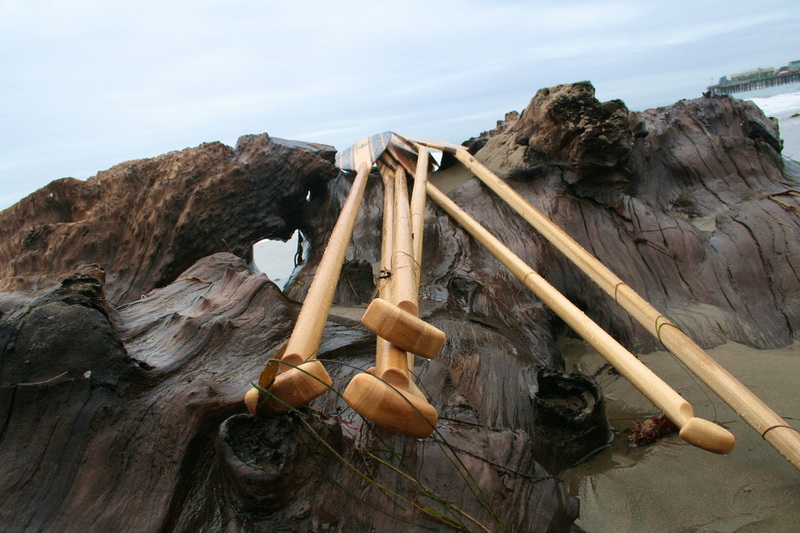 We use poplar, walnut, birch, cedar in our blades and redwood that grew overlooking the Monterey Bay. All of our paddle blades are reinforced with 4 oz fiberglass to ensure maximum strength and are geared toward the different disciplines of SUP. Our custom grips are designed for superior comfort to eliminate the affects of hand fatigue, and our paddle shafts are crafted to allow for an optimal level of flex aimed at keeping shoulder and other joints healthy and strong; all equal more time on the water. Each piece is literally one of a kind, giving you the opportunity to set yourself apart from the rest.